For people who are coming to Germany, shared flats are the perfect option because you can rent really cheaply and besides that you meet cool new people. 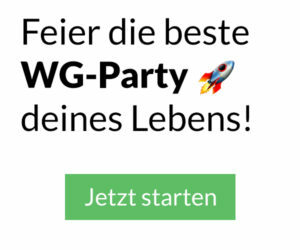 The German word for a shared flat is “WG” or “Wohngemeinschaft”. In Germany shared flats are most common among young people like young professionals and students. If people share a flat it means that they share the kitchen and bathroom too. Very often shared flats are for long term accommodations and the rooms are often not furnished so you have to bring your own furniture. On the other side you could book a temporary accommodation if you plan to stay in Germany for a limited time. Rooms can usually be found under the term “Zwischenmiete”. Mostly the contract will be signed with the tenant and not the landlord. Some Students in Germany live in a student hall of residence (Studentenwohnheim) or in a private accommodation. We would recommend to start looking for a free room as early as possible. The best case is to start searching before you arrive in Germany. That makes it a lot easier. At the End you need to find a place to live on your own because the German universities do not often assign rooms to their students. But the International Office at the university can give you tips and useful information. Finding a shared flat in Germany is not an easy thing. A lot of young people try to find shared flats before and during their study time so there will be a lot of competition. More than 37% of all students in Germany live in shared flats. Over all there are more than 1.5 Million shared flats in Germany so don’t worry there will be a place to stay for you.